This is one of the craziest ideas I’ve seen but I suppose it deserves a mention. 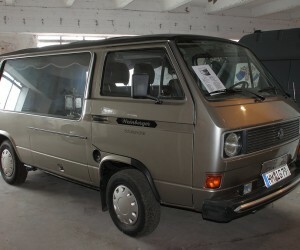 This Vanagon has been completely outfitted in knitware. Who would want to drive this thing around like this? 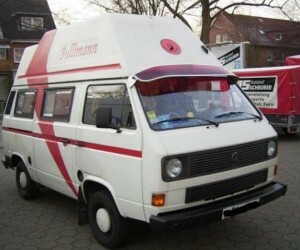 It turns out a couple of VW commercial vehicle employees spotted a classic bus treated in knitwear while visiting Thailand. They decided to replicate the bus. This is their finale product. 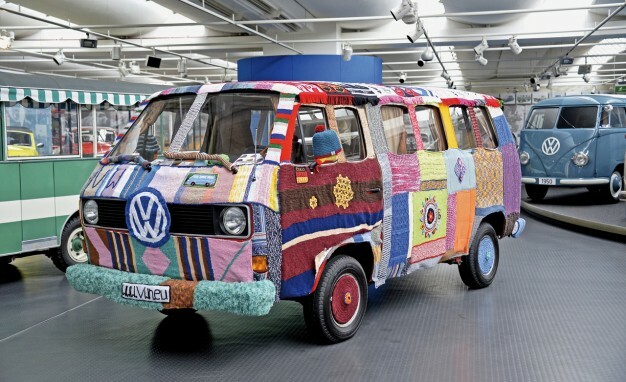 About 2500 hours went into the 100-pound-plus knit sweater for the unique T3, which can be admired in the Volkswagen Museum until the end of March.